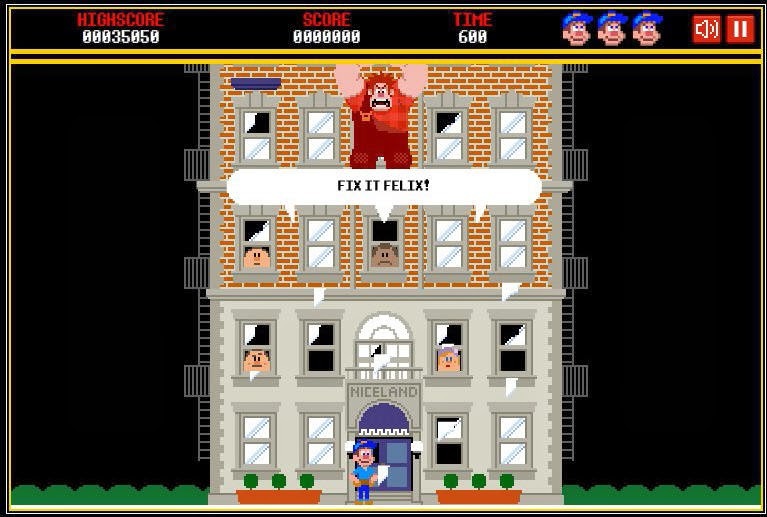 Game Of the Week presenting: Fix it Felix Jr Remake!! Hey you guys, Sorry for not posting last Friday I was on vacation with no internet access! Did you watch the movie Wreck-It Ralph? It's available for online play, but if you want the remake to play anytime on your PC, here is the link download, extract and enjoy. I uploaded it on my account, it's a freeware but I can't recall who made it, and cannot provide any support. I "fixed" the link, no one told me it was broken!